Do you need to have your boiler serviced? 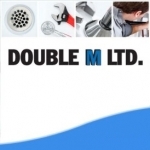 If you need to have your boiler serviced or it needs a new part or a repair then call us here at Double M Ltd. A family run business where customer satisfaction and good value for money are still important to us. With over thirty years' experience in our different trades we can offer a reliable and efficient service. Central heating letting you down? Then don't hesitate a breakdown could end up costing you a lot of money, so please don't delay use our free click to call service now and get the professional services you deserve.